From helping to visualise the human genome, to an immersive experience of travelling through a fridge, a North-East tech firm is helping to push the boundaries of virtual reality. 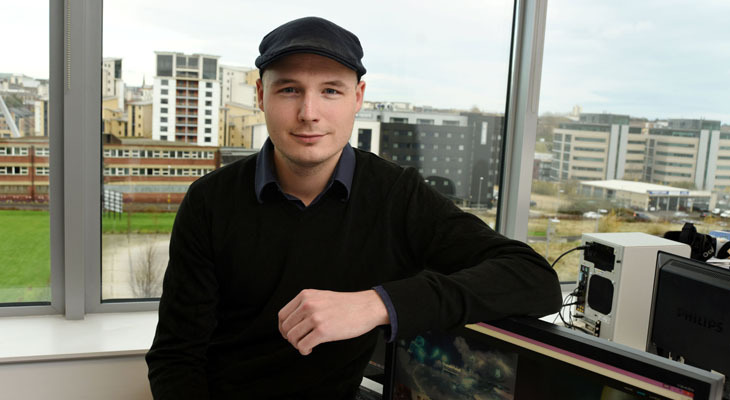 Hammerhead VR was founded in 2014, by Teesside University graduate Christian Frausig with the help of a Fellowship from DigitalCity and the University’s graduate enterprise programme. Based in Newcastle, with an office in London, the company has enjoyed continual growth through working with clients globally. The rapidly growing company employs 17 people, to create pioneering cinematic, virtual reality and immersive content experiences. One of the latest projects, launched at the Festival of Marketing 2015, was conceived and produced for global advertising agency, AMV BBDO, for their client Thunderhead, the cloud-based customer engagement platform. Building on the creative concept by AMV BBDO, the VR experience available to view on Littlstar.com, puts the viewer at the helm of Thunderhead’s ship in a futuristic Norse world. The viewer flies through clouds on a metaphorical journey learning about the benefits of the technology. Christian Frausig said: 'It’s been an incredible journey. We’re really proud of the work we’re producing, the team we’ve built, and the talent we’re attracting. 'One of our clients picked up an award at the Festival of Marketing for the Boursin Sensorium, which we created, which was great recognition for the team. Christian took part in Teesside University’s DigitalCity Fellowship scheme which supports entrepreneurs to develop their digital business product or idea. As well as support with living expenses, Fellows are also able to access industry-specific mentoring and coaching along with facilities and equipment at the University. Cheryl Evans, DigitalCity Programme Manager, said: 'Hammerhead VR are undertaking some extremely exciting projects and positioning themselves at the forefront of their industry.